Whitney Tilson’s email to investors discussing Tesla Model S and X Sales in Europe and Anton Wahlman’s new article. You may want to ask your cousins if they have driven a Jaguar i-Pace, Audi eTron, Hyundai Kona EV, Kia Niro EV -- or for that matter a Chevrolet Bolt EV. The all-new 243 mile range Kia Soul EV is also barely a month away from California dealerships. Those are all cars that drive just as well as a Tesla (or arguably better), while having proper interiors and dashboards (not a distracting tablet), Android Auto and Apple CarPlay (Why does Tesla boycott Apple and Android?) and are likely to spend a decimal point less time in the service department. They’ll also have doors that open and close every time, glass that doesn’t crack, and trunks that doesn’t get filled with water when it rains. You can even run them through car washes! The reality is that the “basic driving experience” (the so-called “driving dynamics”) is so similar between all of these cars that most people couldn’t pass a blind test. As a minimum, whatever ultra-tiny difference there is between a Tesla and a different-brand BEV (battery-electric vehicle) is positively meaningless in regular traffic/driving. Teslas drive just fine (when they’re not spending a few weeks or months in a row at the shop), but so do almost all the other new electric cars as well. Tesla certainly did a few things right. First, the design of the Model S was beautiful, no matter what the powertrain is or was (could have been a diesel, and people would have loved the car anyway). Then again, please take a look at the Jaguar i-Pace and Audi eTron and tell me that those cars aren’t better-looking than any Tesla, by far. In Europe, where Jaguar -- and to some extent Audi -- are both stronger brands than they are here in the U.S., sales results in recent days, weeks and months are clear: Jaguar has taken a huge bite out of Tesla Model S and X, and since the Audi went on sale a week ago, its deliveries are handily beating Tesla Model S and X in multiple countries (we will have data from more countries after month-end). You could also argue that the 2020 Kia Soul EV (available in California dealerships near the end of April 2019) is a much more interesting design than any Tesla today. The other thing Tesla did very well, was the charging network. No doubt about it -- until just a few short months ago, it was the only game in town for long-distance driving. However, Electrify America is in the middle of spending $2 billion on its network in the U.S., and just started lighting up its first stations in late 2018. By July 2019, they will have almost 500 stations around the U.S. interstates -- and many others located in metro areas. It will not have the same density as Tesla’s Superchargers quite yet, but they will be close enough only four months from now: https://www.electrifyamerica.com/locate-charger So, the Supercharger advantage will soon be close enough to “zero” and eventually invert from a Tesla advantage, to a liability. Plus, by the end of 2022 -- any of the other 200+ pure EVs that will be in the market by that time. Remember, Volkswagen Group alone has announced 70 pure EV models -- PLUS another 30 plug-in hybrids, making their way to production. That’s 100 different models with a plug. Positively dizzying. And positively lethal for industry profits -- including of course Tesla’s, which will have no gasoline/diesel profits with with to offset this guaranteed-below-zero margin situation. Jominy: The attributes of Tesla are such that they have highly desirable models and a cool factor—and they just happen to be electric. The whole fanboy mantra is “save the world”, and this guy totally ignores that. "Get laid" -- fast, good-looking car. Tech experimentation, home research project. The car is so silent, helping my obsession of running over squirrels when I head out of the driveway in the morning. I get free electricity from the office (so I never need to charge at home). Carpool lane privileges (that alone is 50% of the buyer motivation in Silicon Valley and Los Angeles, where 40% of Teslas are sold). Anton Wahlman with a new article on the SEC's increasing pressure on Tesla and Musk. I have read plenty of letters from the SEC, and this one REALLY stands out for how pissed they are (as well they should be). "Your friend " makes many good points ... but he's completely off base about Tesla's being poorly bulit, in the shop all the time,etc... I've had mine for almost 4 years and 56,000 miles and it only goes in for regular ( every 12,500 miles ) maintenance and virtually zero issues. I hardly recognize the Tesla your friend is describing. And living in Westport Ct which I believe still holds the record ( at least pre-Model 3 ) for the most Tesla's per capita and knowing so many people who own them, love them and don't have any of the issues he described ... kind of wondering what his agenda is. BTW .. I know Jags no longer have their incredibly well deserved reputation for spending weeks/months in the service department and were so unreliable back in the day that many owners had corvette engines installed to replace the factory issued "engine" from Jag ... so I couldn't help but chuckle when he made reference to Teslas in the service department with a direct comparison to Jaguar. Yes.. there is a lot of competition coming and as you've accurately pointed out, Tesla has challenges that go beyond the car ( balance sheet, etc ). The question is will the explosive growth predicted for EV's more than compensate for the additional competition. And I suspect that these new entries into the world of Electric vehicles will have their own bugs to work out. And that's coming from a multi-decade Audi owner ( still have a Q7 for my wife ) who has a lot of respect for the brand but remembers the struggles they had with their aluminum engines ( the 100 series ) .. and that little issue with the cars accelerating like the 737 MAX that almost put Audi out of business at one point. And then there's VW and their emission scandal ... etc, etc. Tesla's charging network advantage is HUGE ... without it you simply can't take road trips in all the other EV's on the market unless you want to spend four or five hours on the side of the road charging ( versus 35-60 minutes at a SuperCharger ) ... and yes, eventually that will no longer be a competitive advantage. 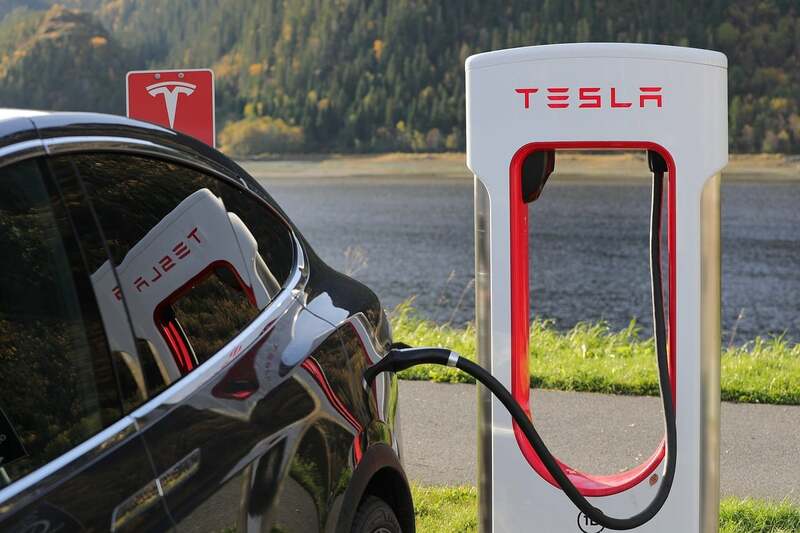 In fact, God forbid Tesla goes down, the consortium should make an offer to buy the SuperCharger network and convert it to work for all cars. That would be a huge jump start. In the meantime, building out that network ( like the one they have in Europe ) will take longer than they think. In the meantime, their EV's will be great "second cars" as long as you have something else in the garage to visit your ski house in Vermont or place on the Cape.